Welcome! We’re easy to work with. Our staff is fully trained in all aspects of individual and business financial services. 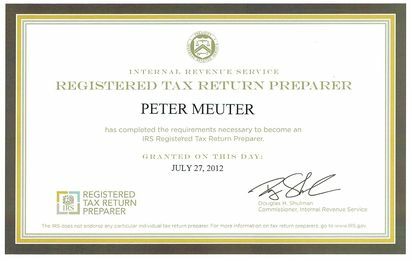 If you are looking for a Orange County tax preparation firm, we are ready to serve your needs. Even if you are outside the Orange County area, we can still help. We have satisfied clients throughout the U.S. that we assist with tax consulting, tax advice, tax preparation and tax representation as well as bookkeeping services. Regardless of whether you need personal or business financial services, we stand ready to help you or your business to succeed. You can expect flexibility, timeliness and affordable fees. All of our solutions, whether they deal with accounting services, payroll services or tax preparation services, are customized to your particular needs. We don’t offer “cookie-cutter” solutions. Our expertise includes a variety of businesses and industries from sole-proprietors to small and mid-sized companies, whether established or start-up. Welcome to the official YouTube channel of the Internal Revenue Service. Find videos produced by the IRS on various tax preparation topics. Orange County Tax Services. IRS Registered Tax Return Preparer. Serving Orange County California including Aliso Viejo, Anaheim, Brea, Buena Park, Costa Mesa, Cypress, Dana Point, Fountain Valley, Fullerton, Garden Grove, Huntington Beach, Irvine, Laguna Beach, Laguna Hills, Laguna Niguel, Laguna Woods, La Habra, Lake Forest, La Palma, Los Alamitos, Mission Viejo, Newport Beach, Orange, Placentia, Rancho Santa Margarita, San Clemente, San Juan Capistrano, Santa Ana, Seal Beach, Stanton, Tustin, Villa Park, Westminster, Yorba Linda.